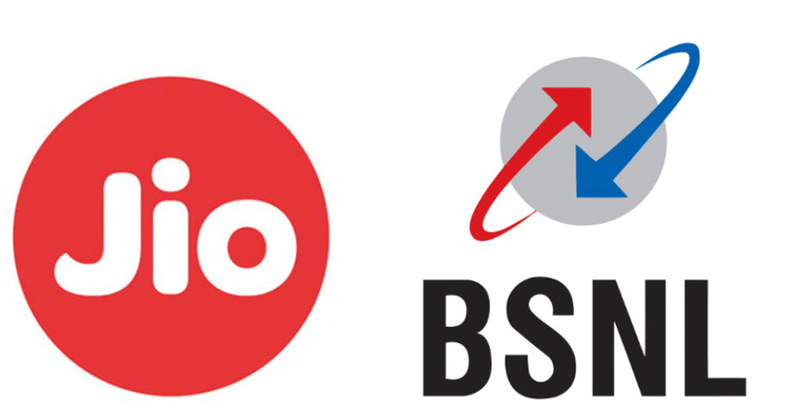 To take on Jio’s impending launch of its FTTH service in the country, state-owned telecom operator BSNL has introduced two broadband plans that take on the ultra-cheap offerings. The first of the two BSNL monthly plans, titled Fibro Combo ULD 777, offers a data FUP of 500GB at a speed of up to 50Mbps. The plan comes with a 30-day validity and is priced at Rs. 777. The other one, named Fibro Combo ULD 1277, offers a data FUP of 750GB and speed of up to 100Mbps. Apart from Jio Fiber, these FTTH plans will also fend off competition from local Internet Service Providers (ISPs) such as Spectranet and ACT Fibernet. Add to that, both plans also subscribers with unlimited voice calling benefits to any network in the country, according to a seemingly official BSNL circular shared by a Twitter user. The plans are applicable in all telecom circles except Andaman and Nicobar. They entail a security deposit of one month tariff and are available only for new FTTH users. The Fibro Combo ULD 777 broadband plan will reduce speed to 2Mbps after the FUP data limit ends which seems to be a good threshold for most average users. Users can also choose to subscribe to this plan for long-term periods of one, two, or three years at Rs. 8,547, Rs. 16,317, and Rs. 23,310 respectively. On the other hand, the Fibro Combo ULD 1277 also gets a post-FUP speed of 2Mbps, and comes with tariff options of Rs. 14,047, Rs. 26,817, and Rs. 38,310 for 1, 2, and 3 year plans. These new FTTH plans come right after BSNL recently updated its non-FTTH broadband offerings. The non-FTTH options start at Rs. 99 and go all the way up to Rs. 399 on a monthly basis. These plans offer data access at speeds of 20Mbps, with an after-FUP speed of 1Mbps. The plans also offer unlimited voice call benefits to any network in the country. In contrast to the BSNL 777 plan, Airtel currently offers up to 40Mbps data speed with an FUP limit of 150GB in its Rs. 899 monthly plan. As with BSNL, Bharti Airtel also offers unlimited local and STD voice calling with its broadband plan. BSNL’s rival in the telecom business, Reliance Industries-owned Jio, currently operates in the broadband sector only as a beta service – its Jio Fiber service is available only in select cities, but not pan-India. However, with the service expected to arrive soon, the competition will likely go up resulting in cheaper tariffs for subscribers in the months to come.